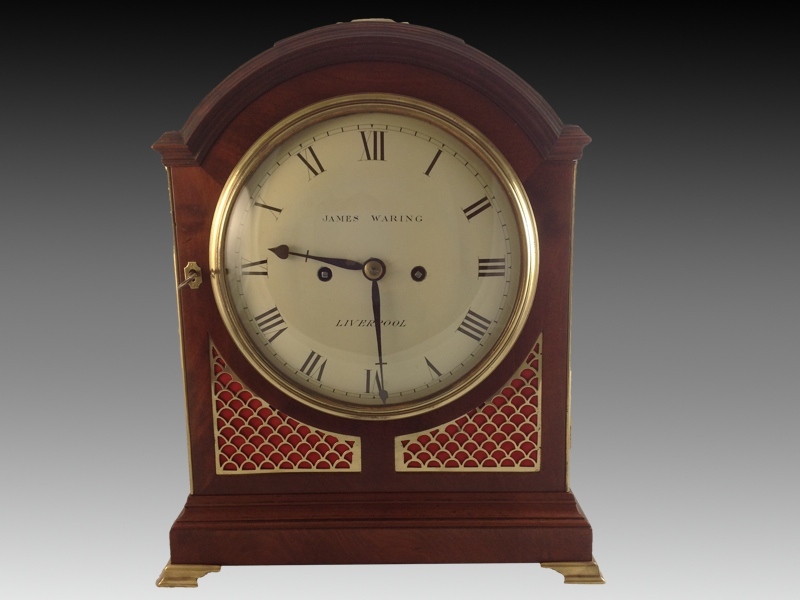 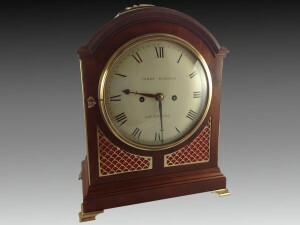 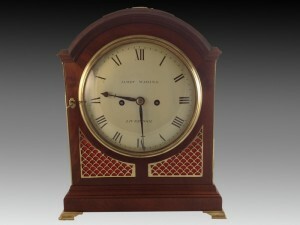 An early 19th century, mahogany bracket clock. 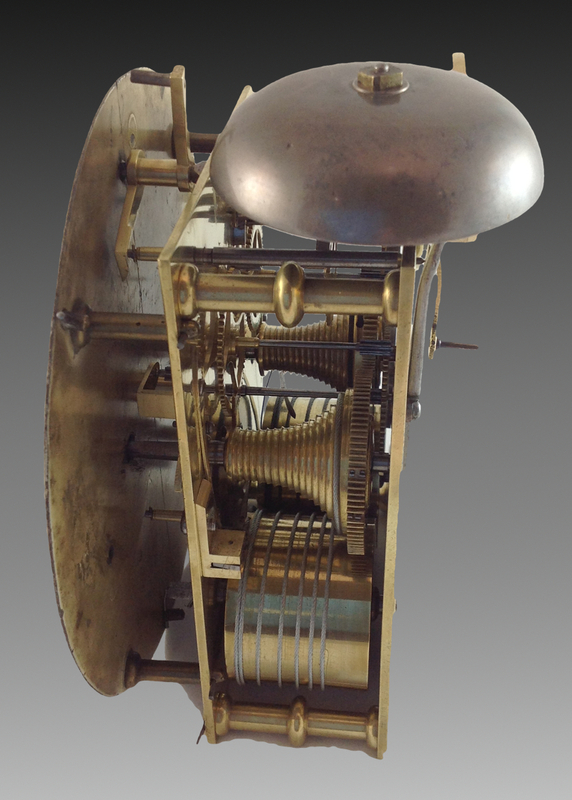 The eight day double fusee movement with anchor escapement, rack striking the hour on a bell, with strike silent lever above the roman numeral 12. 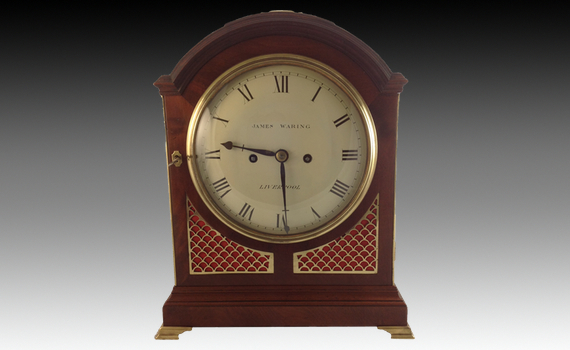 The eight inch dial repainted. 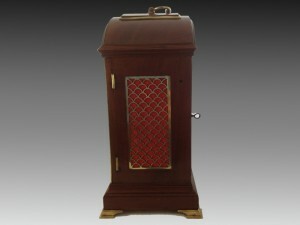 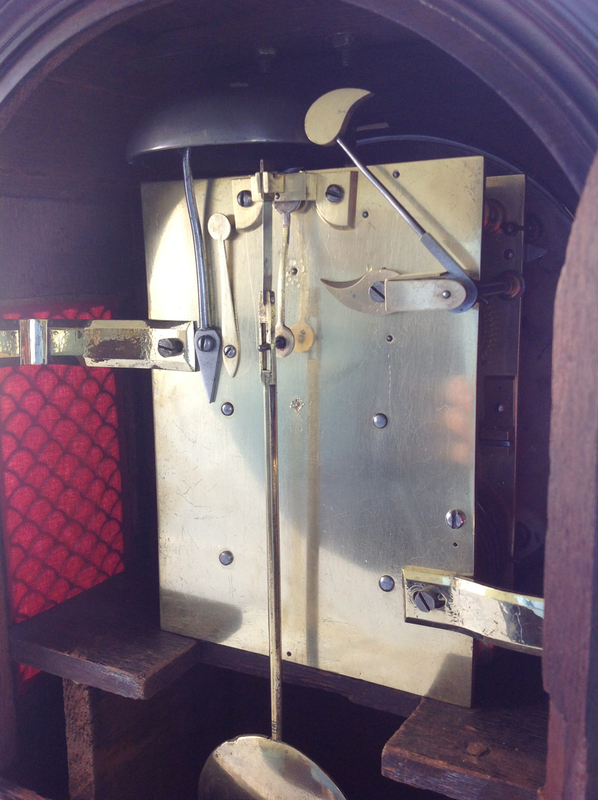 The mahogany case with curl veneers and arched, single padtop, with brass carrying handle, above a circular glazed convex brass bezel with fish scale fret panels attached to the front door. 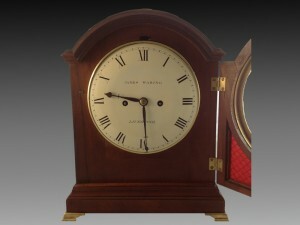 The sides with similar panels, and standing on a moulded plinth with brass bracket feet.